NIWA is the Northwest Independent Writers’ Association. NIWA’s primary goal is to help Northwest area writers achieve professional standards in independent writing, publishing, and marketing. Every year, NIWA releases an anthology, this year’s writing topic was Asylum. A religious refugee fleeing for his life in his own country. A trickster asking an enemy for safe haven. A horrific visit to a psychiatric ward overrun by its charges. An unexplained theft from a biomedical lab. The last known survivor of a mysterious plague. A wormhole to the most peaceful and secret place in the world. A detective on the trail of a human trafficker. What does asylum mean to you? In the 2015 anthology collection from the Northwest Independent Writers Association, seventeen authors explore the obvious and hidden meanings of this theme—from a werewolf on a mission and self-sacrifice in a post-apocalyptic world, to shadowy wizardry, a questing knight, and a gentle prison for geniuses. OryCon is happening this weekend, but I’m not going this year. In fact, I’m not doing anything for the rest of this year. That’s just how it is. Anyhow, check out my books on the ‘My Books’ tab. Like me, they’re just hanging around. The final book in the Heretic Series will be out next year (2016) but I’m not sure when. It is written, but I’m not satisfied with it. The beginning and ending are solid, but there are a few spots in the middle that seem weak to me. The wrinkles will get ironed out eventually. That is it — my update is finished. 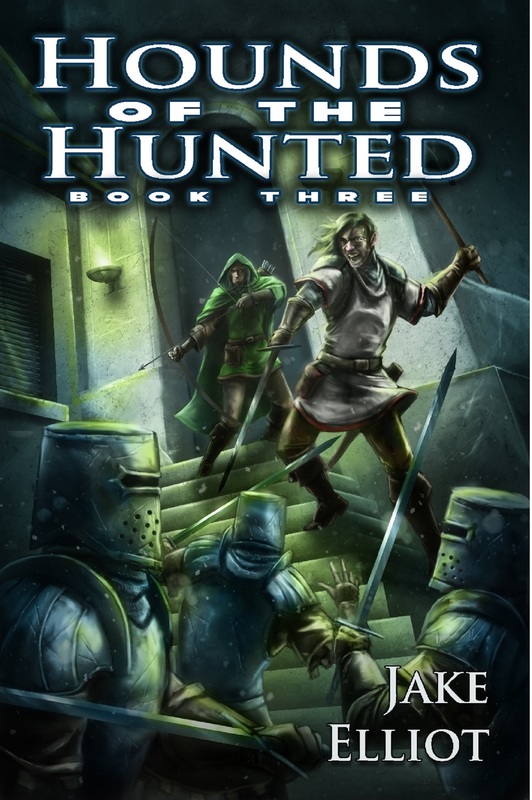 Currently, until August 25th, 2015, four copies of my third novel, Hounds of the Hunted are in a giveaway on Goodreads at the light blue link you just read passed. Right now, your odds are about 1 in 12 to win. Those are pretty good odds for a free shot. Also, I will be in Spokane, Washington, for the 73rd world Sci-Fi Convention from Aug 19th until Aug 23rd. If you are there, please stop by and see me in the dealers’ room. I’ll have many titles with me, including several out of print anthologies. I’m not sure where my group will be located, but I’ll be with Jeffrey Cook (Steampunk author) and several other sci-fi and fantasy authors from the Pacific Northwest area. It will be fun to meet you, please stop by.